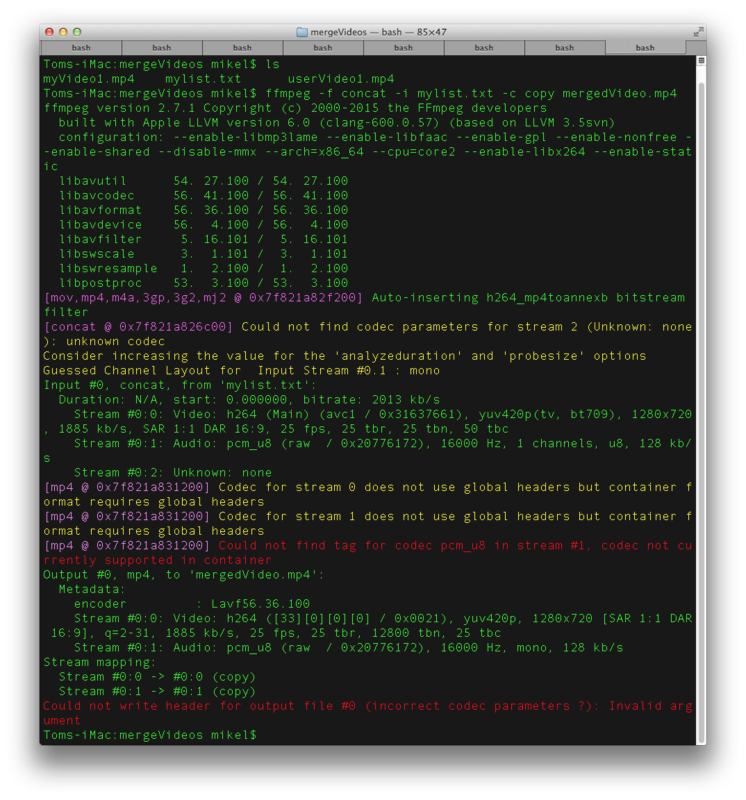 I am developing a service to concat a video (mine) with a another from a user (he/she upload it) and return to user. 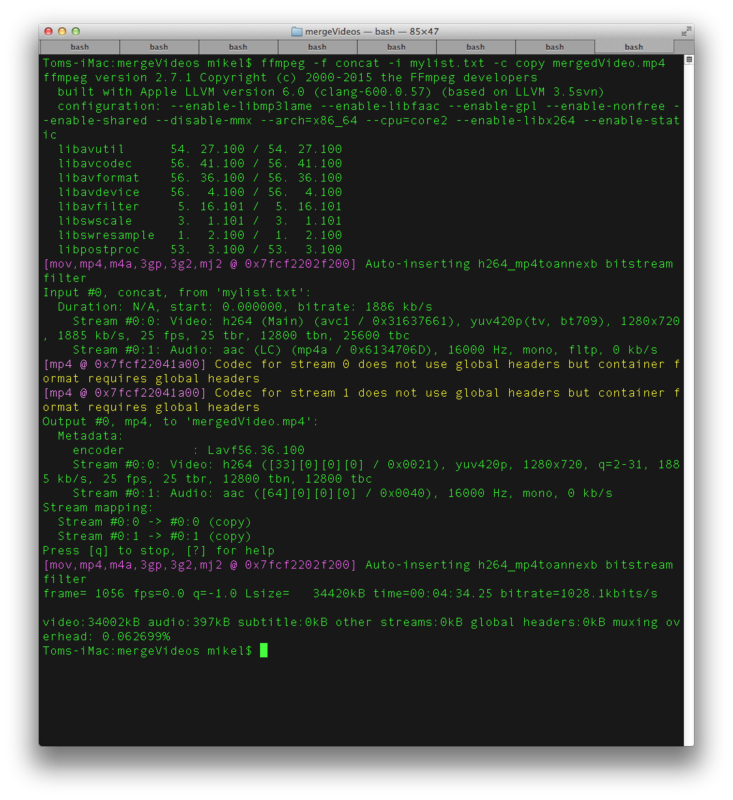 First I tried to use Concat demuxer because I don't want to re-encode videos if it is not needed. It is supposed that with same codec it should concat videos almost immediately. 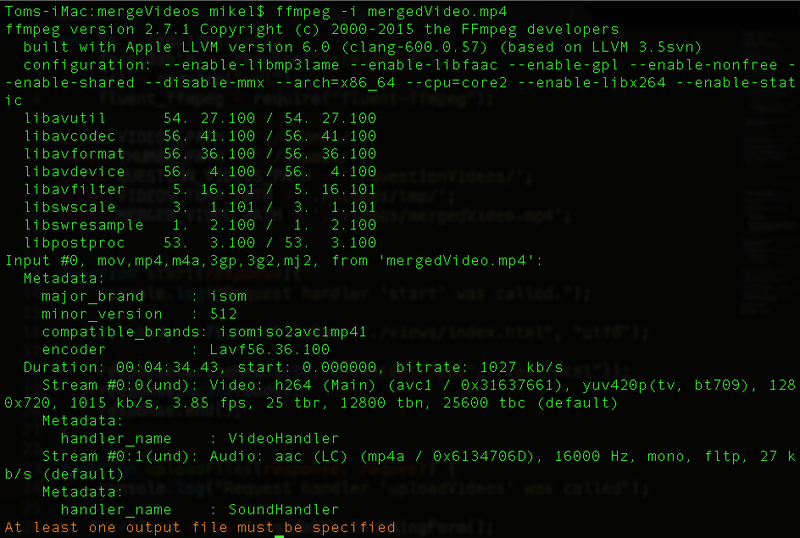 Users may upload different videos with different codecs so I will need to convert that video to a certain codec. The problem that I have now is that even having videos with same codec concat is not working well, so I would like to know what else is needed. 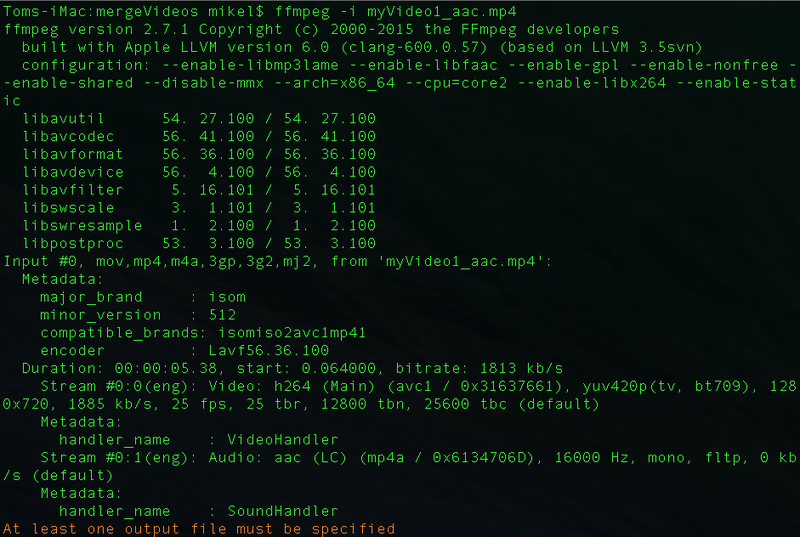 ... and there were no errors shown, but when I played the video I saw first video normal however 2nd was super slow, only few frames per second, in fact mergedVideo.mp4 has 4 minutes and 34 seconds when it should have 39s (5.38 + 33.79). 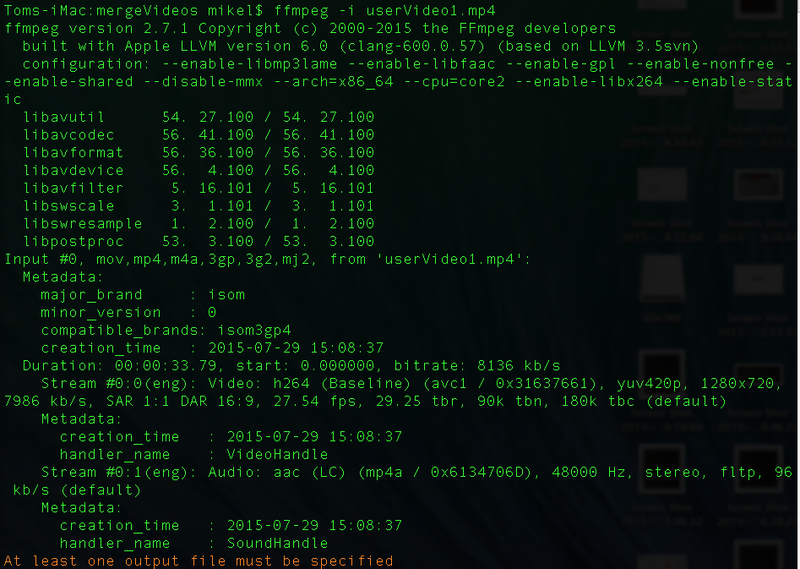 Browse other questions tagged video ffmpeg video-conversion concatenation or ask your own question. 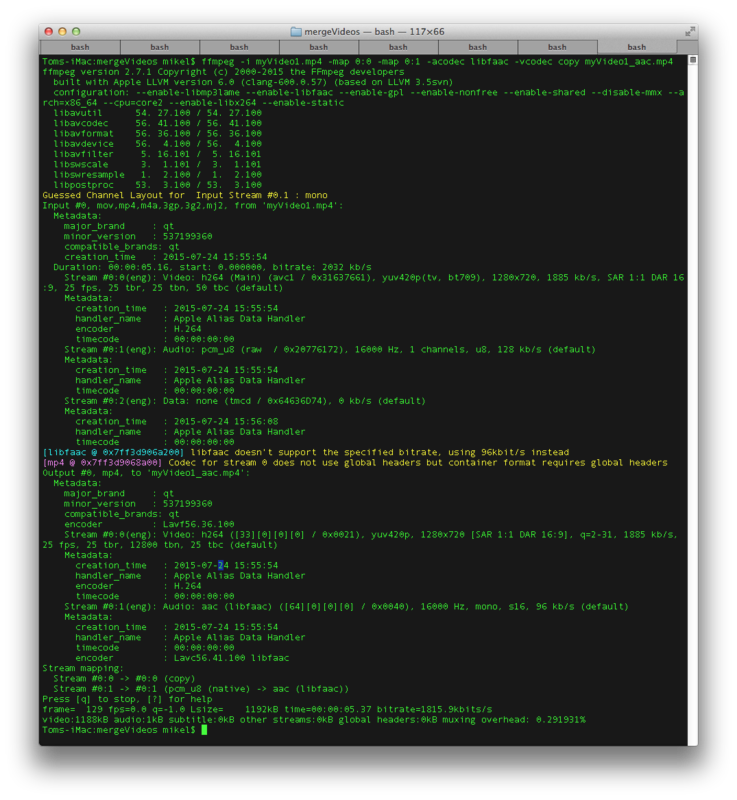 Why are h264/ac3/mkv videos showing up as “motion jpeg” with ffmpeg?